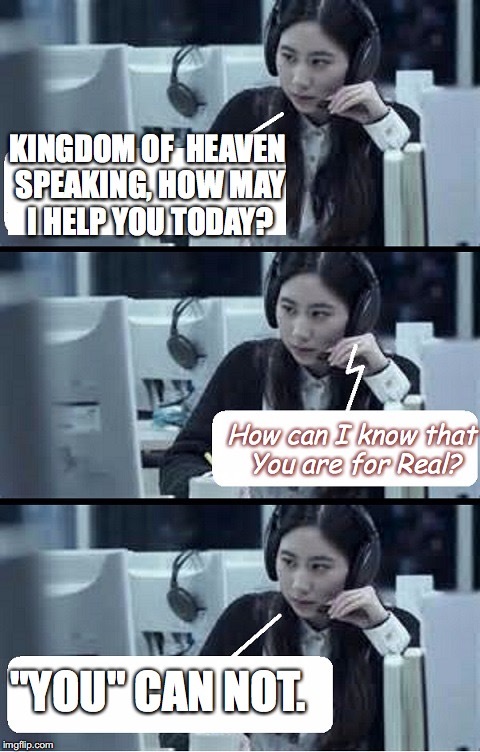 KINGDOM OF HEAVEN SPEAKING, HOW MAY I HELP YOU TODAY? How can I know that You are for Real? "YOU" CAN NOT.